It is an unwritten SEO rule: the more leads you get, the more sales you are likely to get. The primary goal of SEO is to increase traffic for a website. From this traffic is where leads are generated, and conversions are made. However, it can sometimes be challenging to find quality leads. By quality leads, it means that you can never be too sure that your impressive traffic will lead to an increase in your bottom line. That should, however, not worry you much. 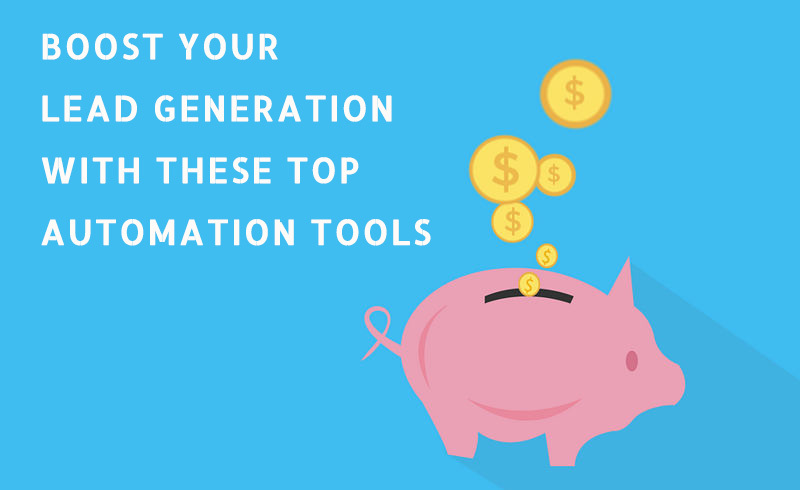 There are reliable automated lead generation tools in the market that will help you get the right leads. Constant contact is one of the most reliable and effective lead generation tools. Also, it is worth noting that it is also an email marketing tool. The good thing about the tool is that it is user-friendly and will not require days of training for you to know your way around it. Constant contact allows you to keep track of your campaign results thereby outlining the behavior of your subscribers, allowing you to know what works best for them. What OptinMonster does is work with the various CRM platforms and email marketing tools. Through that, it can get hold of and share new leads. Businesses that have used the tool before having a success story to tell. Also, the tool comes in handy when it comes to growing your leads and creating target marketing campaigns. Just like constant contact, MailChimp is an email marketing tool that also does great when it comes to lead generation. The tool has a knowledge base that will help you in gathering all the information you need regarding your audience. More so, it allows you to send out emails to the audience: and all that for free! Leadformly does the job of generating leads for your business through the creating of high-converting lead generation forms. More so, Leadformly also has an in-built analysis that helps you understand or get a deeper insight into your audience and know just how well your leads are performing. Intercom Acquire works quite different from the other lead generation tools. How? It is one of the tools that allow you the opportunity even to have conversations with your leads. It works by first identifying the users that are active on your page. From there you can start a conversation with them since the time they spend on your pages tell a lot about their interest in your brand. From there, you can gather information or feedback and identify what the leads might be interested in. Did you know that email marketing matters, especially when it comes to lead generation? Now you know. It is for this reason that you need ActiveCampaign in your fleet. How does the tool work? First, the tool keeps track of every single interaction that leads have with your site. It is from there that it picks the basis for email marketing campaigns. That means that you will always be on alert the moment a lead sets foot on your website. That makes it easier for your sales team to do follow-ups and consequently make conversions. Are you a B2B business? LinkedIn Sales Navigator would be the perfect lead generation tool for you. As you may well be aware, LinkedIn is a social media platform that mostly hosts B2B businesses. It is therefore only logic if you worked with a lead generation tool that would direct you to such users. It works pretty simply, first of all, you will always get notifications on the people who are viewing your profile. With this platform, it only tells you that the users are interested in what you are doing and reaching out to them could get you into business with them. Do not waste too much time prospecting while you have tools like Datanyze in the market. However, the tool is for tech and software companies. The approach for lead generation for these companies might be a little different from the rest. What the tool does is direct you to your leads by giving you information regarding the kind of technology they use. For your SEO efforts to pay off, you need to do much more than have an optimized web design. That is, creating quality content, using lead generation tools to increase your conversion rate and monitoring your keywords with the help of the best SEO tools. For more information, visit https://serpbook.com/blog/keyword-ranking-tracker/.